A Caveat: The following are the thoughts of a guest blogger and as such do not necessarily represent the views of Rethinking Faith and Church. It's amazing to me how many people think that the ‪#‎CharlieHebdo‬ incident is about freedom and rights. It is, in fact, about hatred. Nothing else. Love and Hate are two sides of the same coin. If you are not doing one, you are doing the other. If your words or actions are not bringing more love into the world, they bring more hate. And, hate begets hate. I have taken the time to look at several of the Charlie Hebdo pieces, and let me tell you... there is nothing but hate in them. Laughing at a satirical image or article that is filled with hate only amplifies that hate. Such laughter spits the very same venom. That doesn't justify the attack, it merely explains it. Sigmund Freud is purported to have said "The first human who hurled an insult instead of a stone was the founder of civilization." It's a sad reality that those who are hit by an insult often hurl stones in reply. I guess the extension of Freud's observation could be that the first human who chose not to even hurl an insult was the founder of enlightenment. The way to combat such violence is not by stomping our feet and demanding that we have rights and freedoms. Such hatred can only be beaten with greater love. We may have the right to free speech, but with that right must come the obligation to express ourselves with love. Can one use satire in love? How would that play out? If you accept the definition of satire as "the use of humor, irony, exaggeration, or ridicule to expose and criticize people's stupidity or vices, particularly in the context of contemporary politics and other topical issues." How can that be done in love? 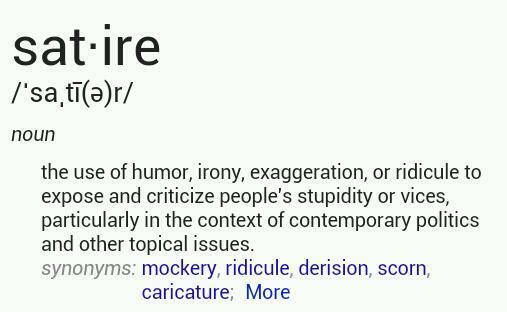 How does one "expose and criticize" someone's "stupidity or vice" in love? Dear Father in heaven, please forgive this rebellious generation. So as I sat down in my favourite chair about 5:00am this morning, coffee in hand and as per my usual custom, it occurred to me how many partly read books I still have stacked around me here in my reading corner from last year. Let me share a couple things I'm currently reading. This first one is not really a "left over," but rather is part of my ongoing reading. 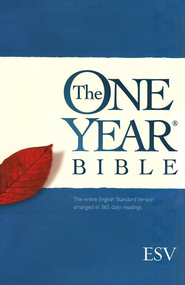 For many years now I've been fairly regularly reading through the The One Year Bible. The current version I'm re-reading again this year is the ESV. Past versions have included the NIV and the LB. Someone once said that "A Bible that's falling apart usually belongs to someone who isn't." I don't know if that's true or not, but it's a nice thought. At the very least, it describes my old NIV which is now completely worn out. I like the discipline of daily Bible reading, and on those days when I neglect that quiet time, my day strangely seems to usually go south fairly quickly. Another thing I like about the One Year Bible format is that it forces me to read through portions of the Bible that can easily be overlooked or neglected. 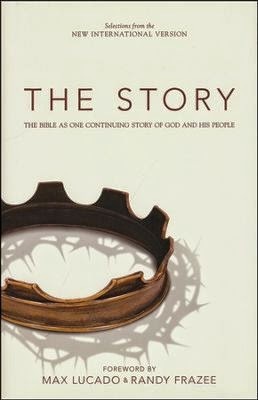 Another book I'm currently reading is The Story: The Bible as One Continuing Story of God and His People. I am totally enjoying this one. I discovered it quite by accident as my son and I were surfing through iTunes out on the deck last summer and came upon Music Inspired by the Story. If you aren't familiar with that album, you owe it to yourself to check it out. It is made up of various artists; Disc 1 containing 11 songs based on the Old Testament, and Disc 2 containing 7 songs based upon the New Testament. It is simply amazing! The Cribbage game my son and I were playing that day suddenly got put on hold as we began previewing the album on iTunes and then promptly bought it. We have since given away a few copies of it as gifts. Absolutely one of the most beautiful albums I have had the pleasure of hearing in a very long time. It was soon after that we bought the hardcover copy of the book from which the album got its name. Like the music CD, a gift of this book has also been made a few times this past year. I highly recommend both the album and the book. 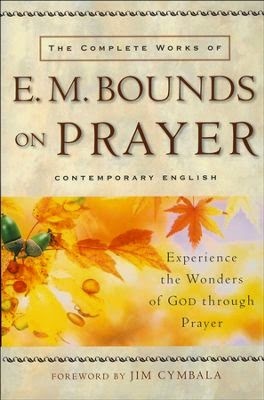 Another partly read book that I'm carrying over from last year is The Complete Works of E.M. Bounds on Prayer. Edward McKendree Bounds (d.1913) was a Methodist Episcopal church pastor, lawyer, and army chaplain. It is said that he spent the last seventeen years of his life rising before dawn every day to read and write. I hope to add this one to the "Finished Reading" list this year. It would be impossible for me to single out a favourite portion of this book, but I will leave you with one quote to whet your whistle and exposure to Bounds' thoughts on prayer. He writes, "God is not now so evident in the world, so almighty in manifestation as of old, not because miracles have passed away, nor because God has ceased to work, but because prayer has been shorn of its simplicity, its majesty, and its power" (p.205). Now there's a topic for future discussion. 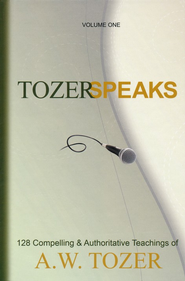 Continuing the list of unfinished books from 2014 is the two-volume, 600+ pages each, Tozer Speaks. It is a collection of 128 teachings of A.W. Tozer (d.1963). It used to be said of this self-taught theologian, "No one could say it like Tozer!" To this day he continues to be widely read, and if it isn't already, in my humble opinion deserves to be counted among the all time modern Christian classics. What's it about? Glad you asked. Volume One contains four books. They are, (1) Selections from his Pulpit Ministry; (2) Ten Messages on the Holy Spirit; (3) Ten Sermons from the Gospel of John; (4) Essays on Spiritual Perfection. Volume Two also contains four books. They are, (5) Twelve Sermons in Peter's First Epistle; (6) Twelve Messages on Well-Known and Favorite Bible Texts; (7) Twelve Sermons Relating to the Life Ministry of the Christian Church; (8) Ten Sermons on the Voices of God Calling Man. While I have already read Volume One, Volume Two still remains on the un-read list. 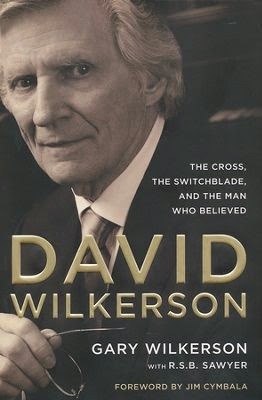 One book that I can't believe I haven't gotten to yet from my 2014 reading list is David Wilkerson: The Cross, The Switchblade, and The Man Who Believed. It is the story of David Wilkerson as told by his son Gary. I still remember feeling shocked when I heard over social media of his death in an automobile accident in April 2011. The first thing I did was pick up my old tattered copy of The Cross and the Switchblade and re-read it. I see that there is now a 45th anniversary edition of this classic available. From the back cover of this new book: "Wilkerson had a radical perspective, believing God could - and would - do great things in the rejected and lost. He had a counter-culture persistence, refusing to give up on the people of the streets even when they had given up on themselves. He had a supernatural perception, looking into the eyes of drug addicts and gang members and seeing Christ." I guess I could be excused for not yet finishing the next two books, as I received them for Christmas gifts this past year. Still, they too remain as only partly read, and so I add them here to the list for 2015. 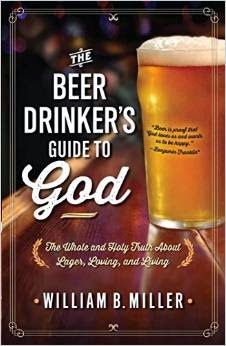 The first one is called, The Beer Drinker's Guide to God: The Whole and Holy Truth About Lager, Loving, and Living. How's that for a title to make you sit up and say, "Hmm." It is authored by Father William (Bill) Miller, an Episcopal priest in Kauai, Hawaii, who also is co-owner of a bar in Marfa, Texas aptly called "Padre's." Essays in this 338 page book include, (1) WWJD: What Would Jesus Drink? ; (2) Brewed Over Me and Distill Me, O Lord; (3) Pearls of Great Price; (4) Chicken Soup for the Hooters Girl's Soul; (5) Miss Hawaii and Other Miss Takes; (6) Don't Leave Me Hanging: The Theological Significance of Athletic Supporters. As a self proclaimed humorist and former pastor, who has also been known to enjoy a nice cold beer or three, this one is turning out to be an enjoyable and lighter read. I am reminded of Ecclesiastes 3:1,4 which in the NIV reads, "There is a time for everything ... [including] a time to laugh." This book is helping to feed my funny bone. 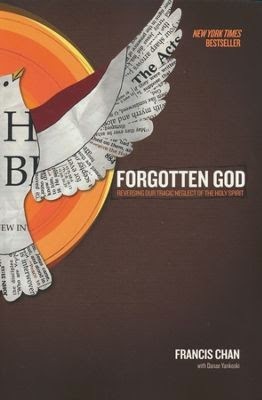 The other un-read Christmas book is Francis Chan's Forgotten God: Reversing Our Tragic Neglect of the Holy Spirit. I've read two other of Chan's books, Crazy Love and Erasing Hell, so I am already familiar with some of Chan's works. The back cover of the book asks, "Could it be that we've forgotten the One who distinguishes us from every religion and cult in the world?" Hmm, I guess I will have to read that and see where he's coming from. Perhaps it will be worth writing a book review on one day soon. Well there you have six of the books (not including the One Year Bible), either partly read or yet unread, that I've carried over with me from 2014 and which are currently stacked around my favourite reading chair. Unfortunately there are still a plethora of other un-read books scattered throughout my office. It's interesting how book stores are like candy stores for me; there's so much out there that I want to read, and inevitably, I buy more than I can possibly stay on top of. I guess I know how I'll be spending my retirement ... reading. In closing, I need to put one more plug into an exciting book project that I've been honoured to have been a part of last year. 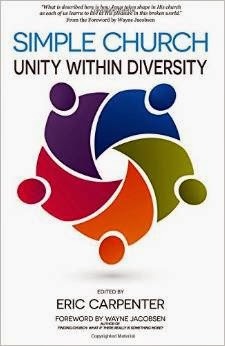 If you haven't yet purchased a copy of Simple Church: Unity Within Diversity, I would very much encourage you to do so. Twenty-four people (myself included) came together with editor Eric Carpenter to make this book possible. It had its genesis with a blog post that Eric wrote some time ago in which he discussed how often the church has come to be known for what it's against rather than what it's for. Simple Church is written from a positive perspective, showing that though we her authors may not agree on everything, we are still very much united in our diversity. My own chapter deals with "A Church That Assembles for Mutual Edification." Do check out Simple Church: Unity Within Diversity. Thanks for stopping by. Peace & Blessings to you and yours in 2015. Any great Christian books you would care to recommend? Drop me a comment; I love to hear about them. Who knows, they may find their way to my next CBD book order. I just read something that turned my stomach sour. As a matter of fact, at the risk of being too graphic, I almost felt like puking! It left me not just upset, but actually angry to a point I haven't been to in a while. 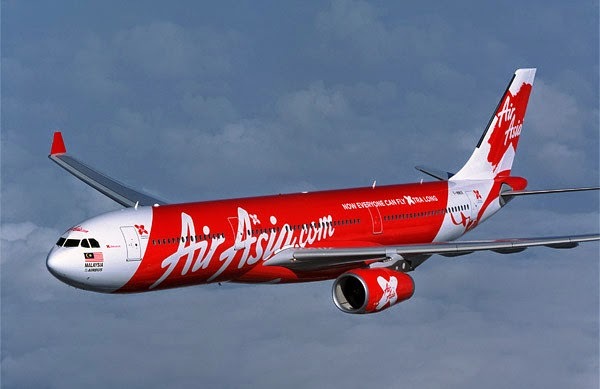 Someone who signed off his blog post as, "I'm Jim Solouki, and I'm a True Christian," is suggesting that the Air Asia flight QZ8501 is a warning from God against heathen nations and is their judgment for failing to repent and turn to Jesus. In the process he attacks several eastern religious groups and then has the audacity to offer a prayer asking God to "please continue to take down planes from the heathen parts of Asia until those sinners repent." "Did you know that God has made an Air Asia plane flying into Singapore disappear with 162 passengers on board as punishment for their sinful behavior? That's right boys and girls, much like the Malaysian Air disappearance and crash, God has made a plane filled with mostly Indonesian passengers disappear. Why are planes carrying Indonesians disappearing more than any other types of plane? The answer is simple! The Indonesian people are a heathen people! They failed to keep Christ in Christmas, and now Christ chose to not keep their airplane in the air!" To the people of Indonesia, to the various religious groups that were attacked, and on behalf of REAL Christians the world over, I want to offer a sincere apology. The rantings of Jim Solouki (if that's his real name), do NOT represent genuine Christianity. They represent only his particular cult. REAL Christianity is about love, the love of God through Jesus Christ. It is also about anyone who professes to love God, showing the same love towards his or her fellow man. We believe that since "God so loved the world" (John 3:16), we dare not hate those for whom God sent His Son to die; we are called to love them too, even if they think a little differently than we do on matters of faith. Pronouncing judgment and condemnation on objects of God's love is NOT the Christian way. That is nothing less than hate speech, and in the opinion of this blogger, ought to be prosecuted as such. Regardless whether we believe in a divine judgement to come or not, I'm sure we all would agree that such things are left for God and Him alone. He alone has the final say there, and not us. We are called simply to love one another and leave the rest to Him. Again, on behalf of REAL Christians, I'm sorry for the poison caused by Mr. Solouki's post, and we're sorry for your loss in this airline tragedy. "Heathens," as Mr. Solouki alleged? Hardly! Many were not only fellow Christians, but as it turns out, one local church lost one-third of their fellowship's members on that flight. 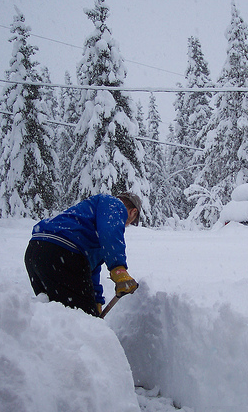 Now there's something for us to be praying about!